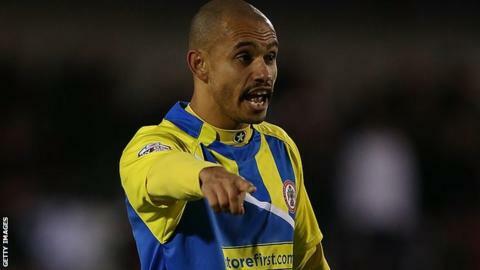 Former Manchester United striker Danny Webber is one of four players released by League Two side Accrington Stanley. The 32-year-old scored three goals in 23 games for the Lancashire club. Full-back Laurence Wilson, along with midfielders Luke Clark and George Miller, are also departing at the end of their contracts. "Making these tough decisions is one of the most unpleasant experiences of being a manager," manager James Beattie told the club website. "I'd like to thank all four lads for their service and wish them all the best for the future."